How do those consistently punctual people do it? Some people are always, almost pathologically, on time. Others are chronically late. Our western society is run on time. Things start at a particular time and then we are off to the next thing which also has a time. It can feel like we are being controlled by the clock. The twentieth century was heralded as the century of labor-saving devices. With all that time we saved you would think no one would ever be hurried again. The result has not been an increase in available time but more working overtime to pay for all these labor and time-saving devices. Even with all those technological advancements, some people are always on time and some are always late. Without getting into a discussion of the psychological factors that affect punctuality, and there are many psychological reasons people are on time or late arrivals, let’s look at how the Punctual People do things. 1. Punctual People get to bed on time. If you think your day starts when you get up in the morning you would be way off. Getting plenty of sleep increases punctuality in the same way it increases productivity. If you stay up late you will pay for it the whole next day. Tired people drag and then have to rush from thing to thing all day long. 2. Punctual People start their day early. Late risers are already behind schedule when their feet hit the floor. They feel rushed and harried from start to finish. Let one thing go wrong and the rest of their day is off kilter. Burn breakfast and there is no time to make a new one. The kids or you go hungry. Plenty of road rage is caused by people who start out late and then need to “make up time” on the roadway. This rushing is bad for your driving and is bad for your health. Start your day early and there is time if something goes wrong. 3. Punctual People allow enough time. You know that your morning drive takes thirty minutes but you hang around reading your email and drinking coffee till quarter till. The result you have to rush and you are still late. The worst papers come in from the students who wait until the night before and then try to write a paper in a few hours that they should have been working on all semester. Bosses can easily tell when someone only allows an hour for an activity that should take four. The result is hurried, partially done and almost always late if it is done at all. Give yourself plenty of time for each thing you do and you will be more creative, do a better job and still get it in on time. Be realistic about how long things will take and you will run on time a lot more. 4. Productive People do not schedule themselves 100% of their time. People need downtime for rest, relaxation and repair in the same way machines need maintenance if we are to avoid a major emergency. Punctual people do not schedule themselves nonstop. They allow small gaps throughout their day so that if one activity runs long they do not throw their whole day out of whack. 5. Punctual People prefer waiting to being late. Punctual People enjoy those relaxing moments when they get somewhere before the event starts. They do not mind waiting for others. A few minutes to relax between things is both healthy and it keeps you on schedule the rest of the day. 6. 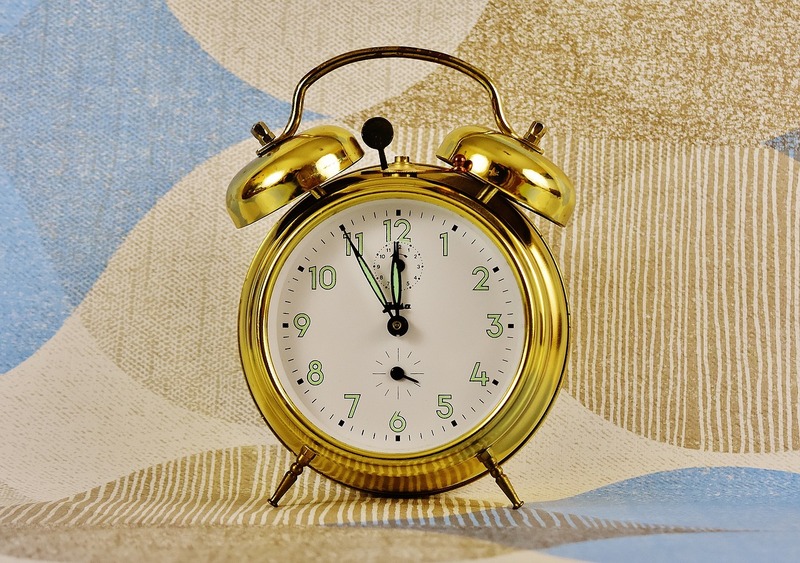 Punctual People start tasks early. If you begin your work on that report or paper early there is little need to rush and you are more likely to be done on time. Getting off the procrastination ride and doing the hard things first assures they will get done on time. Waiting till the last-minute sets you up to run overtime and be off schedule from then on. 7. Punctual People use their calendar. Punctual people plan ahead. The plan on doing things on schedule and that means leaving enough time on their calendar for getting something done. It also means not scheduling things too close together so that getting from one thing to the next throws them off schedule. 8. Punctual people feel disrespected when you are late. Punctual people manage their stress by staying organized and planning ahead. They do not feel stressed because they started way before this meeting with you. They may have gone to bed early, gotten up early and left home for your meeting early all to avoid rushing and arriving stressed. It is also likely that they have planned some flex time between seeing you and the next thing they need to do. When you are late you take away that tranquility they have created and dump your stress directly in their lap. When you are late there is less time to spend with you, less gets done, meetings are abrupt or hurried and if they run over time, you have just stolen some time that they had planned to spend with someone else. There are some things in life where you do not need to observe a strict start and stop time. But most of life is run by the clock. Show up late for court and you may lose your case. Be late for a job interview and you reduced the chances of getting hired. People who are on time are seen as dependable, they do what they say they will. So if you want to join the on-time club, consider adopting some of the characteristics of Punctual People and see if this does not reduce your stress in the process of making you a more Punctual Person. This entry was posted in Life Hacks, Motivation, Self help skills and tagged how to be punctual person, on time, productivity, punctual person, Punctuality, Stress by David Joel Miller. Bookmark the permalink. I was hoping for some help on how to get rid of the unpleasantness of auditioning. in relation to unpleasant (but normal) events like exams and auditions and performing. no matter how i try to coach myself into repeating that it is absurd to feel like that. and really on the defensive afterwards, and feel like i can’t have the mental strenght to audition again until months go by. and the fear comes all of a sudden like a truck running me down. and being afraid of not being able to prend of not being, and also afraid of feeling the fear. As a result it is really tiring for me to audition. i WANT to be able to turn smthng absolutely unpleasant into smthng I am even eager and jubilant to do! What’s the trick? What should I do? and therefore experiencing the CURRENT situation as smthng bothering and possibly hindering to the RESULT afterwards? Sometimes i feel i can’t even enjoy nice situations because i have the feeling that they won’t last. that i am actually DOING fine, otherwise i struggle to calm myself during the performance. how good/bad i am going to sound BEFORE, because one never knows, theoretically anything is possible. but just joy and willingness and anticipation to perform? Can i BE like them? is there a possibility for me to overcome my fears? What do i have to change in my personality/mind/thought processes? Please help, i want to feel good when i perform, i know i can learn, there must be a trick! Hi Fran. Complicated question. Clearly you have a lot of anxiety going on. there seems to be some other things going on also. Yes you can get past this. some people even find it fun or enjoyable to perform. that is something different from auditioning in which others have the chance to approve or disapprove. These terms do not mean the same thing to everyone also. Even the top musical performers, actors and speakers customarily get some “butterflies” or stage fright before a time on stage. No anxiety and you give a bad performance. Too much anxiety and you give a bad performance. The trick is to get the setting on your anxiety meter set to the right setting. I will try to write more on this in the future but for now look for my posts on test anxiety or other material on fear of public speaking and stage fright. Consider working with a coach or a counselor who can help you improve your confidence. Hope those suggestions start you on the right track. I’m pleased you alluded to one aspect of punctuality here – respect. I choose to always be punctual because I believe to be late shows disrespect for the person I am meeting. I understand that I will sometimes be late, and I apologize and explain, but also know that things happen which are beyond my control – a traffic jam or, in one extreme example, my car engine blowing up (in heavy rain, of course). I feel disrespected when other people are late and don’t offer an apology or explanation for why. This especially annoys me when professional people are running late! Glad to know I made you day.